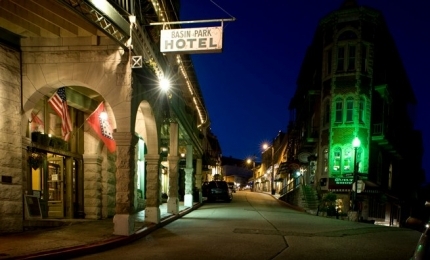 Discover the MOST FUN in downtown Eureka Springs at the 1905 Basin Park Hotel. 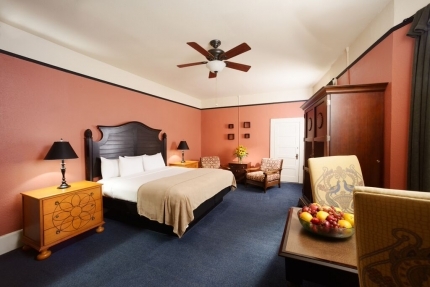 This historic seven-story hotel sits in the heart of the Eureka Springs entertainment district so you can walk to the night spots, bistros, shopping and galleries. Home to one of the hottest restaurant locations, the Balcony Bar and Restaurant offers views of Spring Street and Basin Spring Park. 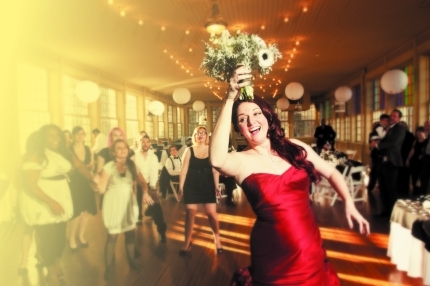 At the very top, Lucky Seven Rooftop Billiards Sports Bar and the famous Barefoot Ballroom are great places for special events. 24-hour front desk assistance and shuttle service. 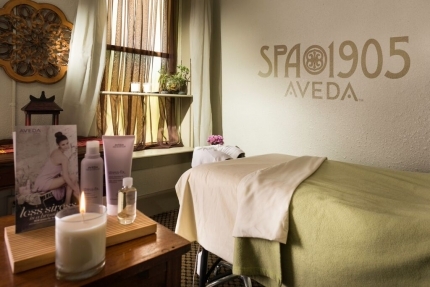 Second Floor Spa1905, an Aveda Spa and Salon offers spa services, a Sun Deck and Hot Tub. 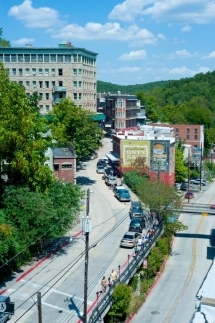 This Historic Hot-Spot in Downtown Eureka Springs has Everything You Need to Make Your Getaway Spectacular! A great location for your wedding and reception!